The trial of Boston Marathon bombing suspect Dzhokhar Tsarnaev can stay in Massachusetts, a federal appeals court ruled Friday. A three-judge panel of the 1st U.S. Circuit Court of Appeals said that any high-profile case would receive significant media attention, but that knowledge of such case "does not equate to disqualifying prejudice." "Distinguishing between the two is at the heart of the jury selection process," the panel wrote. Tsarnaev's lawyers argued that intense media coverage of the case and the large number of people personally affected by the deadly attack made it impossible for him to find a fair and impartial jury in Massachusetts. Prosecutors insisted that Judge George O'Toole Jr.'s individual questioning of prospective jurors has successfully weeded out people with strong opinions on Tsarnaev's guilt. Tsarnaev's lawyers had asked O'Toole three times to move the trial, but he refused, saying bias among prospective jurors could be rooted out through careful questioning about their thoughts on Tsarnaev and the death penalty. As of Thursday, the day the appeals court heard arguments, O'Toole had provisionally qualified 61 jurors, finding that they are capable of being fair and impartial. He said once he qualifies 70 people, Tsarnaev's lawyers and prosecutors will be allowed to eliminate 23 people each for strategic reasons. A panel of 12 jurors and six alternates will be chosen to hear the case. 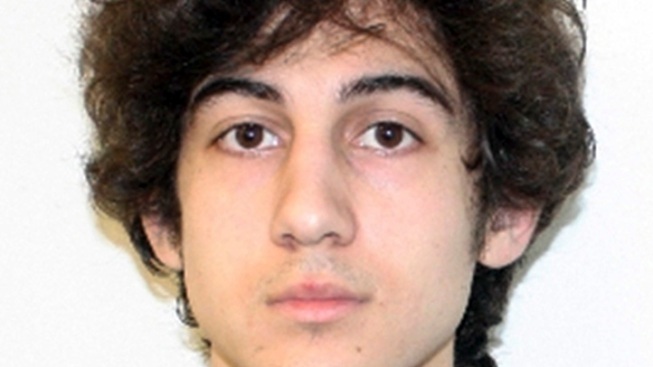 The same jury will decide whether Tsarnaev lives or dies. If he is convicted, the only possible punishments are life in prison without pariole or the death penalty. Only jurors who said they are willing to give meaningful consideration to both punishments can be seated on the jury. Three people were killed and more than 260 were injured when twin bombs exploded near the marathon finish line on April 15, 2013. In arguments before the appeals court, federal public defender Judith Mizner said the local jury pool is "connected to the case in many ways" and cannot be counted on to be fair and impartial. "This attack was viewed as an attack on the marathon itself ... and an attack on the city of Boston," Mizner said. Assistant U.S. Attorney William Weinreb told the appeals court that prospective jurors who have strong opinions have "unhesitatingly admitted" them, allowing the judge to rule them out as jurors. Mizner also argued that the trial needed to be moved to maintain public confidence in the judicial system.